How can ISSSP be used? Complete safety labeling solution, with high-resolution vinyl label printer, and our FacilityWare labeling software suite included. Just add the supplies you need and you'll be ready to print! The SafetyPro 300 is your complete, high-resolution labeling solution! Perfect for OSHA, ANSI, arc flash, pipe labeling and more. The SafetyPro is used around the globe anywhere safety labeling is required. 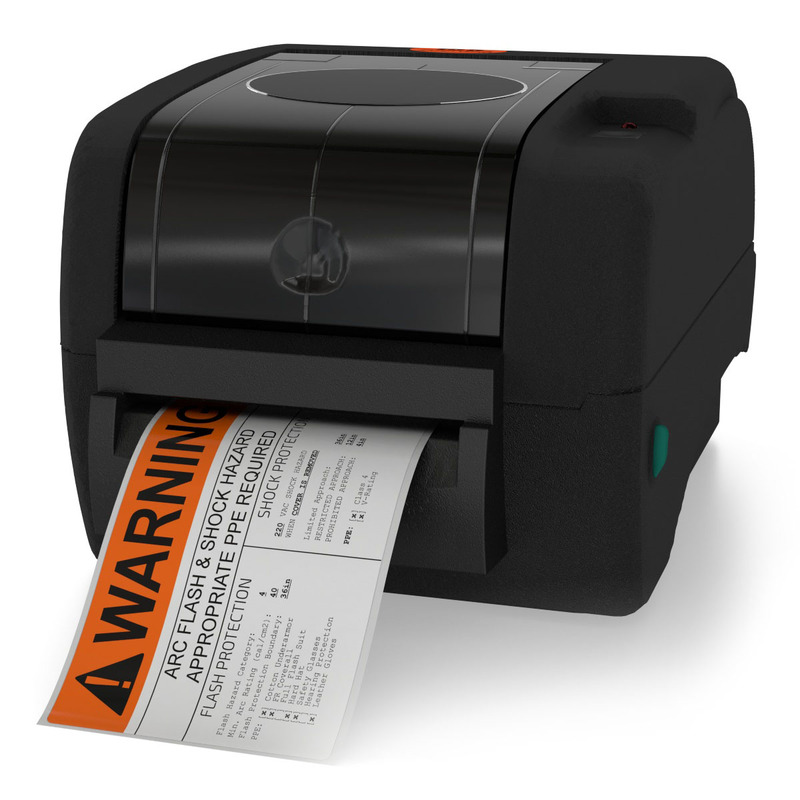 As an industrial 300 DPI vinyl label printer, the SafetyPro is well suited to any job. Get your project done right, on on budget with SafetyPro. After adding the SafetyPro 300 to your cart, simply continue shopping for the supplies you need and build your own package to get started. Choose a package deal from the link below for extra savings! Do you already own a Brady or DuraLabel machine? Contact us for information about product compatibility. We sell supplies for DuraLabel owners, or take advantage of generous trade-in discounts your existing Brady or DuraLabel equipment and supplies. In most cases we can upgrade your DuraLabel or Brady printer, and you can still keep and use your existing Brady or DuraLabel supplies! Why wait? Call 877-762-9280 today to see how we can help DuraLabel or Brady owners. Do you need an industrial label printer? You have come to the right place! Contact us at 877-762-9280 today to find out how our SafetyPro line can meet your industrial label printing needs and requirements. We are here to help!